When Daniel B. went to work for a major national retailer, he had no prior direct experience. What he did have was a variety of leadership and project management under his belt, as well as an eagerness and drive to learn and achieve results. He had moved up the leadership ladder in the National Guard, serving as a team leader, squad leader, platoon sergeant, and finally as a first sergeant. The company needed someone who could manage people and who could come in as a leader. “When I told them about my leadership experience and gave them examples of what I had done and accomplished, they said they had no hesitation or doubt that I could fill the role,” he said. A veterans’ breadth of experience gives them an advantage over their civilian counterparts. There is a good chance that you worked in a variety of fields during your service: this shows that you are adept at learning new jobs and processes. Recruiters and hiring managers want to hear about how you have lead teams in the past, the internal/external partnerships that you leveraged to accomplish tasks, the challenges that you have faced and how you conquered them. These all tell a story about how you will lead in the civilian workforce and whether you are a good fit. Go to a resume-writing class. “My resume had lots of jargon. I had to de-militarize it, and even broke down my job titles into what they would be known as in the civilian world,” said Daniel. Convert your skills into business terms. Articulating how your skills apply to the position that you are interviewing for is a challenge. Tell them not just what you did in previous positions, but how that experience applies to the position that you are seeking. Keep it short (two pages max) and use bullets. Employers want to see quantifiable successes. Be specific and use percentages, dollar amounts, number of people supervised, etc. Remember that many employers receive literally hundreds of applications for open positions. They will inevitably spend very little time looking at your resume before deciding whether they want to offer you an interview. Bullet points convey information quickly and effectively. Sell yourself as a leader. Understand that although experience is important, you probably don’t have the exact type that they are looking for. You are being interviewed because of your leadership experience and your potential to learn the business. This means that your personality and how you interact with the interviewing staff is going to be scrutinized. They will want to ensure that you are someone that they can work with, someone that will get along with their peers. We are starting to see a new trend in which meshing with a company’s culture and being able to illustrate how its core values resonate with you are becoming increasingly important. Understanding those values (which can usually be found on the company website) will go a long way to understand that type of leader that they are seeking. Can you pivot in the face of change? A company’s situation and needs can change quickly. You must convince the team that you can, too. Daniel B. quickly impressed the senior management team with his dedication to the job and strict attention to detail. Adapting to situations as they develop has also been a critical part of his success. “Veterans are comfortable with ambiguity. In the civilian world I find that sometimes people are not comfortable without a 100% plan. Veterans are used to going where they’re told and figuring it out,” he said. A lack of specific experience in the field to which transitioning veterans are applying is expected. Don’t let it discourage you. 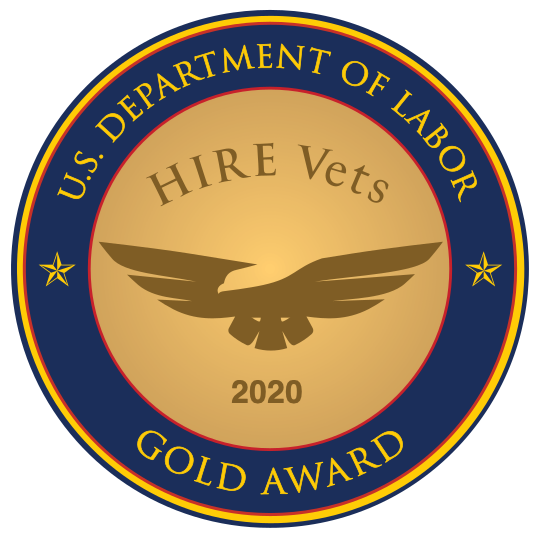 Companies are interested in veteran talent because they are “leaders in a box.” If you can illustrate how you fill that bill, then companies can teach you the rest. We all know veterans are quick learners.